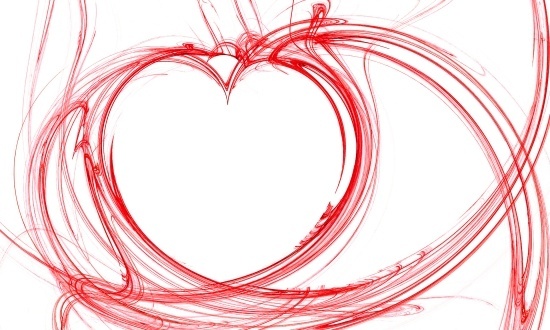 The heart is more than just the physical organ that pulses with life dozens of times per minute every day of our lives. It is also the foundation for our spiritual being. We often discuss what it means to have a “kind heart” or an “open mind,” but how do we develop these things in the first place? 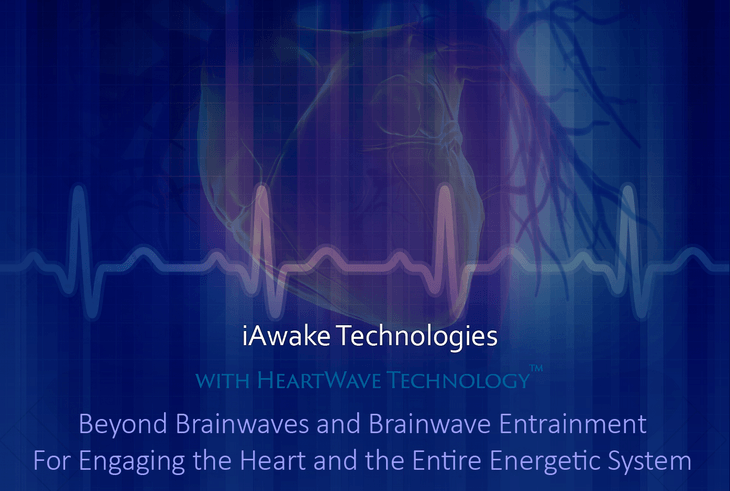 HeartWave Meditation by iAwake Technologies is one of the fastest and easiest ways to give the heart what it needs. With crashing waves, chirping crickets, and just a touch of white noise, this unique product can help to provide the final missing components of a beneficial meditation session. A friend of mine struggles with achieving a quiet mind all of the time. He joined a writing club one day and told me how he struggled with insomnia for three straight days because his mind kept coming up with stories and characters that he could share. Even though he wrote every idea down, his mind kept racing toward more creativity. At the end of the third day, he said his heart was so exhausted that he didn’t care about anything or anyone. All he wanted to do was find some peace and rest. HeartWave Meditation can help your heart to find peace and rest. When the audio is run through headphones, the sounds are all-encompassing. Your focus shifts from the worries of the present to the peace of the present. When the body is at peace and the mind is still, then the heart can begin to explore and develop the spiritual side of life. A 7 minute demo of this unique program is available right now so you can get a taste of the serenity your heart can expect. Why Focus On the Spiritual Components of Life? We all experience spirituality in different ways. For some, religious experiences are a core component of individual spirituality. Others have experiences with nature. Sometimes taking a walk with a friend to have a meaningful conversation can be spiritual. There is a spiritual core in each one of us that we fill. If we ignore this part of our lives, then we are living lives that are incomplete. Humanity has gone to war time and time again because so many believe there is just “one truth” to be found when it comes to our spirituality. The only problem is that no two people have the exact same heart. We are all individuals living within a global community. We all have different spiritual needs. This is why HeartWave Meditation is a program that must be considered if there is a struggle to achieve meaningful time with meditation, prayer, or contemplation. The sounds of this program allow the brain to become quiet so the heart can begin to do its work. A famous religious passage says this: “Be still and know.” Our world is not geared toward being still today, is it? We rush here, there, and everywhere to get as much done as possible. Then we find a few minutes to spend with family and friends, go to sleep, and do it all over again. This program by iAwake Technologies allows you to slow down. It helps to focus on your individual spirituality. It emphasizes a focus on what you need here in the present to find peace and rest. The effectiveness of this product will surprise even the greatest skeptic. If you struggle with finding peace and rest, then give yourself the favor of trying HeartWave Meditation today. What Happens To the Body During HeartWave Meditation? The first thing that almost everyone feels when trying this program for 7+ minutes is a release of their stress. Hidden stress can create more than emotional distress. It can interfere with the biological functioning of several body systems due to the release of cortisol. You will literally feel the stress leave your body because cortisol production may stop almost immediately. Individual results will vary, but at some degree relaxation is going to happen because the worries of the future and the stresses of the past fade away. There are these additional benefits which may be experienced when using HeartWave Meditation as well. There may be an emotional release. The most common method of coping with difficult emotions is to store them as deep inside the heart as possible. Eventually that storage spot overflows and an emotional outburst is experienced. With this program from iAwake Technologies, you can release those difficult emotions in a healthy way and achieve better overall emotional stability. There may be a desire to be creative. We all have various gifts and talents that are based off of our creative centers. When anxiety and stress are present, they overwhelm those creative centers. Once the barriers to them have been removed, you may experience a flood of creative energy that can help you do untold amazing things. There may be more empathy for others. Cortisol may also stimulate the production of adrenaline, which is humanity’s “fight or flight” mechanism. This hormone gives us the energy to get away from something dangerous or stand up to what may seem like impossible odds. It also means we tend to focus on ourselves more than the rest of the world. By removing the excess levels of this hormone, we can begin to understand the challenges that those around us are facing as well. HeartWave Meditation isn’t something magical that will create immediate changes in your spiritual life. In order for any change to happen, you must be willing to allow that change to happen. Think of this program as a tool to use for softer, controllable negative emotions more than a cure-all solution to spiritual problems. A tool that is specifically designed to give you peace and rest. A beneficial meditation session should be about 20 minutes in length. If you’re just getting started, however, 7-15 minutes of reserved time can help you get into the habit of focusing on your individual spirituality. Many prefer to listen to this program through the use of headphones. You can also use earbuds, loudspeakers, or even play it through the internal audio of the device you’re using to read this content right now. Then you play your preferred track for the length of your scheduled meditation session. You’ll receive three different tracks when you place an order for HeartWave Meditation. Two are music tracks and the third is a nature track, giving you 60 total minutes of audio. In return, you may find yourself having one of the most focused meditation, prayer, or contemplation sessions you’ve ever had. If you are unhappy with the results that this program by iAwake Technologies can provide, then simply return the product or contact their customer service department. There is a 90 day guarantee. As a method of reducing stress, HeartWave Meditation is one of the easiest methods that can be used right now. In return, you’ll be able to tap into your creative centers, experience deeper levels of peace and rest, and rediscover meaningful connections you may have lost. Because you will be reserving time for meditation, you will also begin to experience the scientific benefits that come with such a practice over time. This includes a healthier physical body in addition to a stabilized spiritual center, including lower blood pressure levels, improved breathing rates, and improved immune system responses. Some people report experiencing lower levels of chronic pain when they are able to meditate on a regular basis. It may also reduce the symptoms of ADHD, stop mental distractions, improve information processing, and encourage problem solving skill development. Most importantly, regular use of HeartWave Meditation may encourage the development of more gray matter, improving personal mental strength. This makes you more resilient to the daily encounters with stress that happen to everyone. 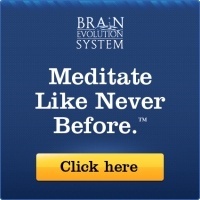 This meditation program by iAwake Technologies isn’t designed to provide profound results in just minutes. Although you may have a profound spiritual experience the first time you use this product, that isn’t the expected result. It is a tool to use on a regular basis so that you can experience life at a deeper level. There are many ways that we can experience stress in today’s world. It can come from a news report, a conversation with the boss, or the need to meet a tight deadline. Stress is something that we can’t just stuff away to deal with on another day. It festers when it remains unaddressed and can lead to anxiety and even panic attacks. Stress will not just go away on its own. We must each make a conscious decision to address the daily stress we encounter. This program is the perfect first step to do so. HeartWave Meditation by iAwake Technologies will help you find personal peace and rest. It encourages you to develop your spiritual centers as you quiet the mind to achieve your personal meditation goals. The results are almost guaranteed. Why not try it for yourself today?